uite?A bit of a scoop here, thanks to a reader, Mark, who spotted this on the official Lambretta brand website. 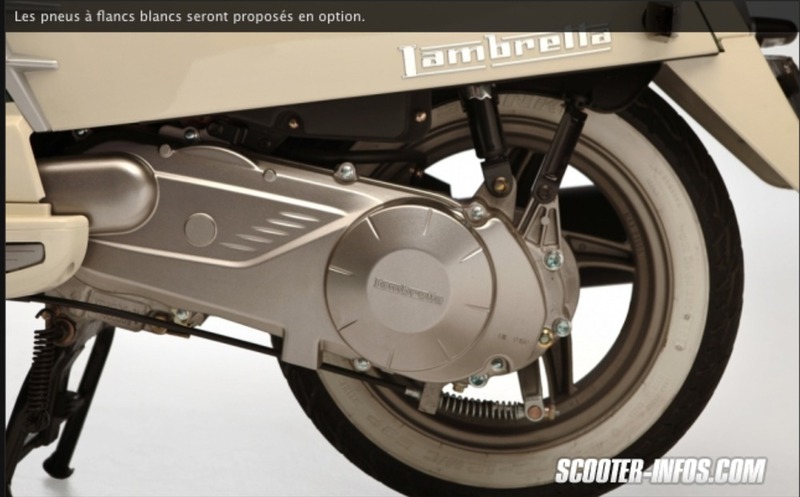 Remember, back in 2012, and then new Lambretta LN scooter? 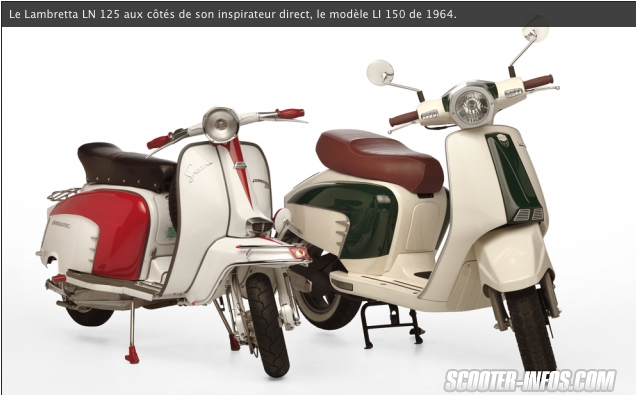 There was an ongoing battle between the so-called Lambretta Consortium and Motom, who produced the LN. As I’m sure you know the Consortium subsequently appear to have won the legal battle and the Lambretta revival turned out to be a very short lived affair. As an LN owner, I’ve always thought this was a great shame and, whilst it was never going to satisfy the purists, I thought that the LN deserved a chance to succeed – and not be strangled at birth. 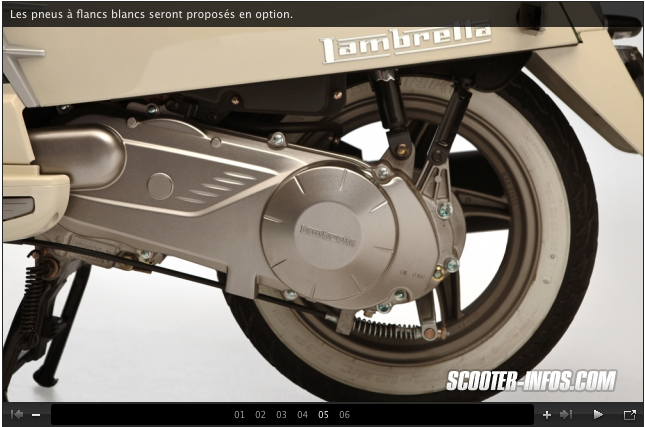 Fast forward to November 2015 and there’s been a very interesting development over at the Lambretta Consortium’s website today regarding the prospect of another new Lambretta scooter. According to the website, this is due to be launched on 4th May 2016. See www.lambretta.com/scooters for more details. On that official Lambretta brand website is a countdown calendar (I’ve pasted in a screenshot of it above), and (according to my calculations anyway) it’s counting down to the 3rd of May, 2016. There’s also a reference to “L’70 Models” Intriguing! Of course, there’s been a lot of water under the bridge since 2012, notably the launch of the Scomadi, and many Lambrettisti would consider one of these of more authentic lineage to an LN, or whatever a L’70 is going to be… but we’ll see, we’ll see. So, watch this space, I’ll have a sniff around and see if I can come up with any juicy info. And if you hear anything on the grapevine, let me know! I think the LN looks pretty good next to the LI… obviously I’d go for the original every time… but the more I see it, the more convinced I am that the LN is a good ‘cover version!’. 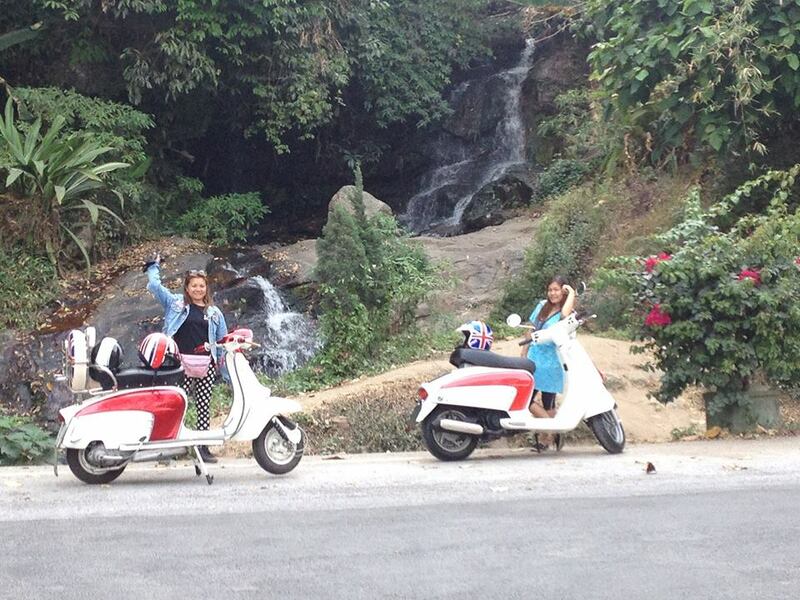 Originally posted on Facebook by the Mystyle Scooter Club Lambretta Pattaya Thailand. Here in the UK, we sometimes get a bit of a “brit-centric’ view of the world, and scootering in general. And despite it’s obvious Italian origins, and the fact that it was never manufactured in the UK, we feel a certain “ownership” of the Lambretta brand. We love it more than anybody else. Except perhaps the Italians. And of course the Spanish. And the Germans. Ok, the Dutch, French, Swiss, Swedes… you get the picture. But maybe only half the picture… what about the US? There’s a huge scene out there. And Brasil, Chile, Argentina… But one place I hadn’t expected the Lambretta to be quite so popular is the far East… It’s held in high regard across Malaysia, Japan, Thailand and Vietnam… as can be seen if you follow the reaction to the launch of the new Lambretta LN in Vietnam recently. And either the design is growing on me, or the photographer is rather talented… I’ve never seen the LN looking better than in these shots. I suspect a bit of both. And gives it a pretty good review. 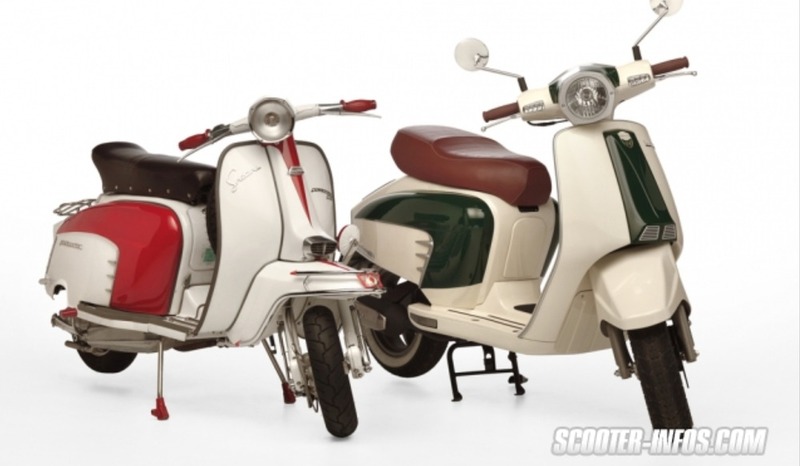 There’s a bit of a pattern emerging from the reviews… if your’e a classic scooterist, you probably hate the ‘new Lambretta’. If you’re not, you might well like it. I think there’s parallels with owners of original VW Beetles, and BMC Mini’s, a niche, dedicated and passionate few… compared to the mass market who like the idea of a classic vehicle, with the convenience of a modern one. 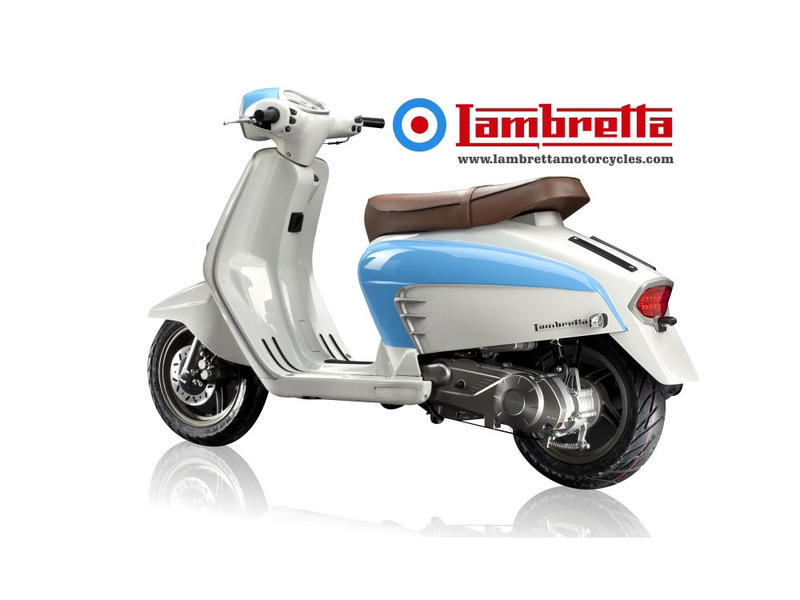 UPDATE: We’re NOT an Imitation, we’re legit say makers of the new Lambretta. The manufacturers of the new Lambretta LN, Motom Electronics Group Spa, and Clag International Ltd., respond to the allegation that thier new scooter is an unlicensed, illegal “knock off”, saying that they’ve got all the right licenses in place, and a couple of court judgements to back them up. Full story here. International scooter icon Lambretta Consortium headquartered in Milan, Italy is initiating one of the largest trademark counter-infringement operations in recent history, by preventing the unlicensed LN125 and LS125 scooters entering the world market under the name Lambretta. In a joint international operation with its legal force, customs and police authorities, the consortium is taking international action to protect its brand rights. The operation is directed against two former licensees; Ireland based Clag International and Italy based Motom Electronics Group Spa. Additonally, actions are taken against the Taiwanese LN125 / LS125 scooter manufacturers Her Chee Industrial Co Ltd. acting under the name ‘Adly’ and Gamax Moto Corporation. Finally, Lambretta is taking protective measures against the expanding network of importers and distributors in Europe, Asia, Oceania and America. Even trusted distributors and reputed magazines are involved, not being aware of the illegal character of the introduction of the new LN125 / LS125 scooter models. Cease and desist letters have been sent to all known distributors, to make them fully aware of the implications of their illegal activities. Lambretta has issued official statements on its global websites (http://www.lambretta.com) to warn the public not to issue pre-payments to the local distributors. Moreover, a list is published on the website of all distributors that are involved in these fraudulent acts. The consortium together with its lawyers and the authorities have uncovered worrying facts about the infringing activities. Shell companies and trusts like ‘DBM Lambretta International Srl’ and professional appearing websites likehttp://www.lambrettaoriginale.com, http://www.lambretta-italia.it andhttp://www.lambrettamotorcycles.com with changing owners, have been used in an attempt to hide activities and networks from Lambretta. Lambretta emphasizes that the only legitimate organization to enter scooter licensing agreements on behalf of Lambretta Consortium is Lambretta Distribution ltd. based in Althorp, United Kingdom. Lambretta enthusiasts will undoubted be encouraged by the news of the introduction into the market of the new “Lambretta” LS and LN models as reported. Buyers must however be very careful that they are indeed witnessing the launch of a true, authentic and legitimate Lambretta, approved by the Lambretta Consortium, the international owner of the Lambretta brand. The two new models, the LN and LS, have been produced by GAMAX Moto Corporation (Charles Huang) in Taiwan under the authority of DBM and two companies, CLAG International Limited (Ireland) presenting itself underhttp://www.lambrettamotorcycles.com and MOTOM Electronics Spa (Giovanni Cottone) in Italy presenting itself under http://www.lambretta-italia.it respectively. Both these models are unapproved and unlicensed for the global market as a full inspection of their authenticity and quality has not yet been conducted by Lambretta Consortium. Additionally contractual issues still remain to be resolved. Our highly valued international consumers (Lambrettisti), distributors and resellers should take care to ensure that DBM, CLAG and MOTOM receive official approval from Lambretta Consortium before entering into any financial arrangements to acquire or distribute these models. Lambretta Consortium obviously cannot afford to allow unlicensed scooter models enter the market that bear the name Lambretta. Lambretta Consortium will continue to take the appropriate legal actions against unauthorized distributors and resellers, like Moof and WKBikes, to prevent counterfeit products entering the market. Please notice that a general, non exclusive license agreement has been entered with CLAG for the territory resticted to Vietnam, Indonesia, Malaysia, Philippines, China, Vietnam, Hong Kong, Russia, Georgia, Thailand and Cambodia. Please contact us for additional information. All license agreements with Motom have been terminated. Lambretta Consortium wishes to ensure that it will do all it can to bring you a genuine, high quality, Lambretta scooter in the best traditions of the Lambretta heritage as soon as it can. We are endeavouring to clarify the situation on both models with both parties in the very near future and hope to issue a statement which ratifies both models. If you require further clarification or information please contact info@lambrettadistribution.com or visit http://www.lambretta.com. C’mon guys, get your act together. In Italian, but hey that just adds to the authenticity, right? UPDATE: If you are in the Bolton area, I’m reliably informed you can get hold of the new Lambretta at MotoCentre. Website here.